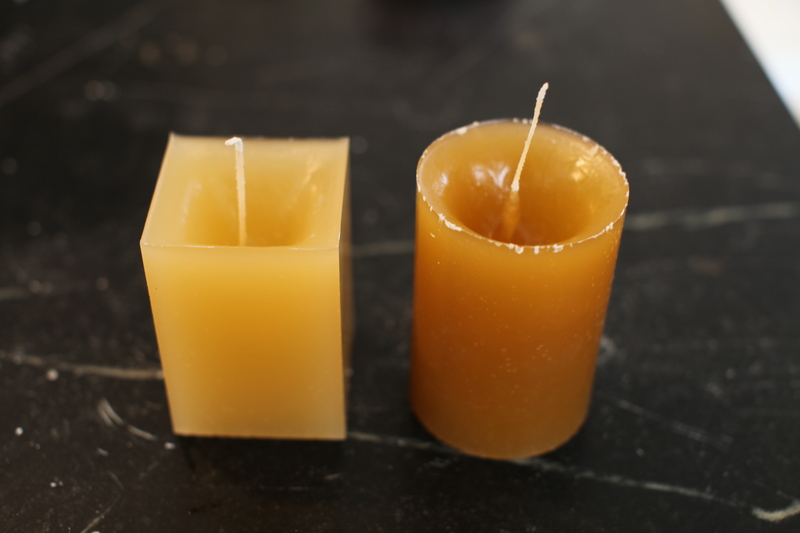 For my first foray into candle making I chose a couple of candle molds from my local hardware store, McGuckins. I bought a couple of different types of wax and dyes and for about 8 4″ candles I spent $85. Let’s just say candles are really not that economical to make. You can buy them for a lot less than it takes to make. My friend Mary came by and helped me out. 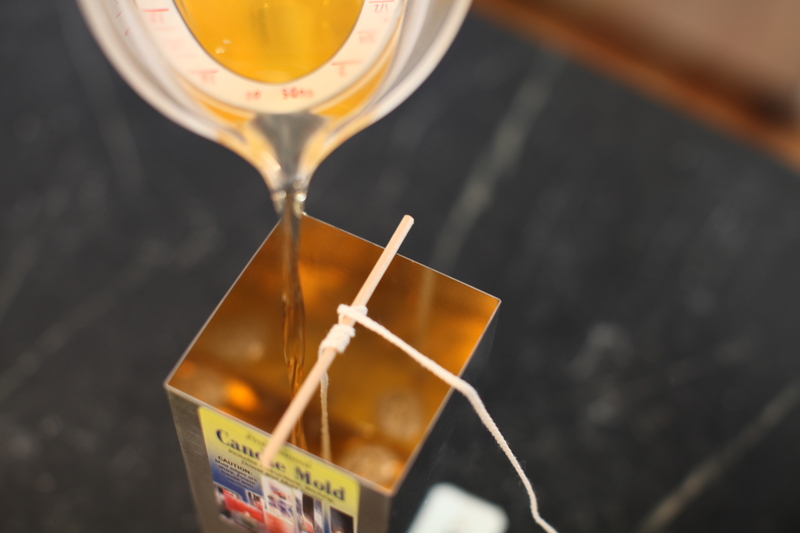 We gave up trying to chisel off the wax and just threw the whole bar of wax in the double boiler. It didn’t take very long to melt down. Then it was simply adding in some dye wax and pouring it into the molds. Then you have to let the candles sit for a few hours. They will start to shrink down in the center so you have to save some wax to fill it as it sets. 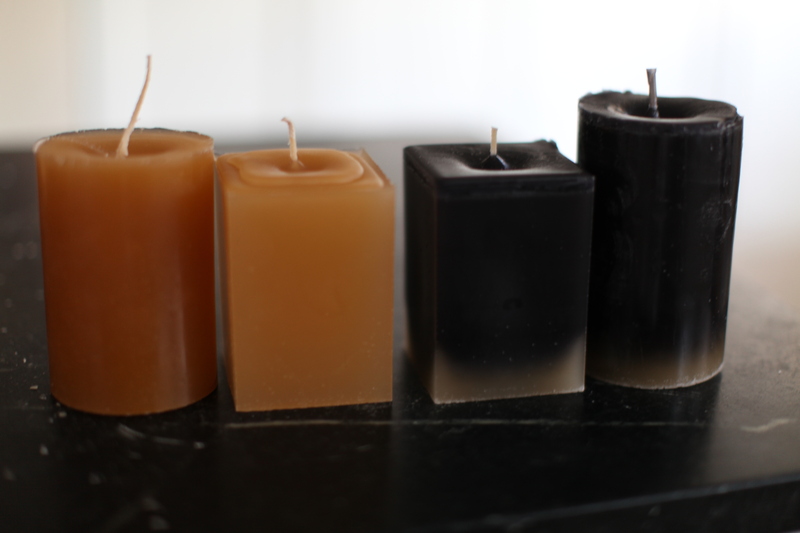 Making candles is pretty simple but the cleanup is a bit of a pain. It’s not easy to get the wax off all of your kitchen utensils and the double boiler wasn’t fun to clean. I’m not sure I’ll make a habit of it but it was a fun little afternoon activity with a friend. § 2 Responses to Make candles? muy interesante tu blog pero el titulo era aburrido, que no? Really I was not into the candle making. Unfortunately I got hit with bad weather that prevented me from doing what I really wanted to do, work on my car. That was then coupled with a bad cold that had me in bed all weekend. Maybe under normal circumstances I would like candle making but really I’m not so sure. It was a bit, eh, boring. You are currently reading Make candles? at 52 To Do.